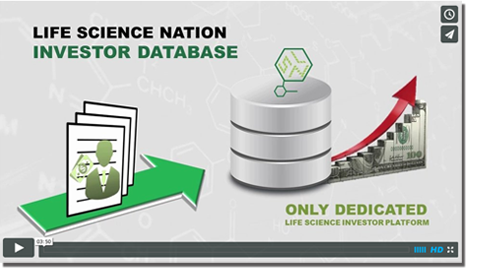 Life Science Nation’s Redefining Early Stage Investments (RESI) conference is a partnering event that requires high touch on both the buy side (investors and pharma) and sell side (startup) constituents. To do partnering correctly takes a high human resource allocation; it is expensive to fund, and requires deep curation of a clientele database for each conference iteration. LSN has discovered that our database curation begets savvy list management, which in turn allows us to target constituents and provide them with customer support and training to use the partnering system efficiently. In today’s life science domain, conferences still lead as a place to make new business connections in addition to accessing the latest information on the advances in drugs, devices, diagnostics, and healthcare IT. Informational-based life science conferences have worked for decades to successfully “break the profitability code”. Breaking the code means finding the precise point between internal resource output and maximum revenue gain, and balancing on it. The irony here is that if the conferences wish to be part of the industry’s new trend of relationship-based conferences with a strong partnering component, they will have to modify their view on resource allocation for partnering at their events. This may seem like a small issue that simply requires dedicating more resources to partnering, which causes a hit to the bottom line. However, it is actually a huge core issue that exposes an inherent dichotomy that must be traversed, or we will see a upheaval in the traditional conference market. A lot of the information-based, super technical, scientific conferences that cater to academia and very early stage discoveries have found themselves in the crosshairs of big pharma and other large partners who are moving upstream to find technology that isn’t already identified and partnered up. This is another reason why these early stage scientific conferences are now in need of a partnering component, which will require higher capital spend and higher human resources to implement. This epiphany will go against the basic grain of the business philosophy of most of the conference providers. I will posit that if they don’t get partnering right, they will become vulnerable as there is a distinct and growing need from both buyers and sellers to build business connections at these conferences. The question is, can the conference providers change the lens on how they value their conferences? The conference folks I talk to seem unconvinced that you really need a partnering effort that goes beyond a basic software application and a dedicated space at their venues. Indeed, it seems as if they are still trying to talk themselves into supporting partnering at all! Is this a fatal flaw? Based on the 5 years of experience that I have garnered in the partnering conference marketplace, I will provide some of my insights. Great partnering is very hard to get right, it’s resource intensive and it is “high touch”. You do successful partnering by creating a consistent dialogue with your constituents. This entails focused marketing via newsletters promos, emails and phone canvassing. You need dedicated staff who reach out (yes, talk with!) and understand both the buy-side and sell-side needs of the clients. The staff’s job is to talk to the clients and understand their needs and keep a record of what the client needs, what technology they are interested in and who they are seeking to meet. If you initiate this compelling dialogue, it soon turns into a relationship, and having a direct relationship with your clients is the holy grail. I also question whether the conference providers want great partnering or “me too” partnering? LSN’s style of interactive dialogue and relationship building through business development is very different than that of info-based conference organizations. LSN’s thesis is that we are NOT a conference company; we are a buyer seller matching platform with a conference, and that’s what gives RESI’s partnering platform its incredible power to forge new connections.